If you are operating a business which is subject to data security regulations, you should look for professional guidance on compliance from IT support experts in Fort Lauderdale. The regulations which have been set in place are designed to prevent the illegal access, exposure and use of personal information. However, the security guidelines can also protect your business. Simply speaking, if you fail to comply and your commercial data is exposed, your customers could pursue legal action. Also, your business will lose its credibility. It is crucial to learn and understand the data security regulations imposed on your business. Currently, there are no universal laws for all companies. However, vulnerable industries have specific standards for consumer information security. For instance, the healthcare sector has the HIPAA regulation which protects patient data from indiscriminate access. Financial services are also regulated to prevent access to bank information, credit card numbers and related information. You should check with an IT consulting firm in Fort Lauderdale to determine if your business is subject to any regulations. Consider boosting your data security measures whether your industry is regulated or not. In addition, your goal should not only be to compliance with minimum security standards imposed for your commercial sector. It should be to identify the risks in your business and establish measures to prevent access of confidential information from your databases. Under normal circumstances, you should conduct an audit with help from your IT support firm in Fort Lauderdale. The audit will identify areas of weakness which can be exploited by hackers and other unscrupulous people. The analysis should be conducted regularly because weaknesses develop over time. It is essential for your business to have a documented risk management plan in relation to data security. This is crucial for both compliance with industry regulatory standard and general business protection. The management plan should have an outline of the key vulnerabilities and measures taken to suppress these risks. There should also be documentation of the various actions and systems used to ensure that the specific network is compliant with data security rules. In addition, a good plan should have a section document the various steps which can be taken to improve on the current security measures. 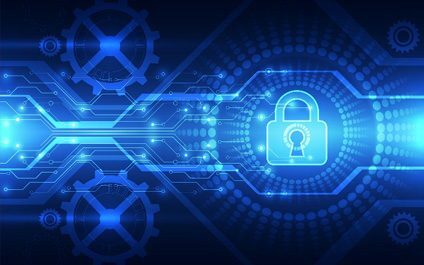 If you would like to know more about industrial data security regulations and compliance from a qualified IT support provider in Fort Lauderdale, contact us at Nexxen Technologies today.